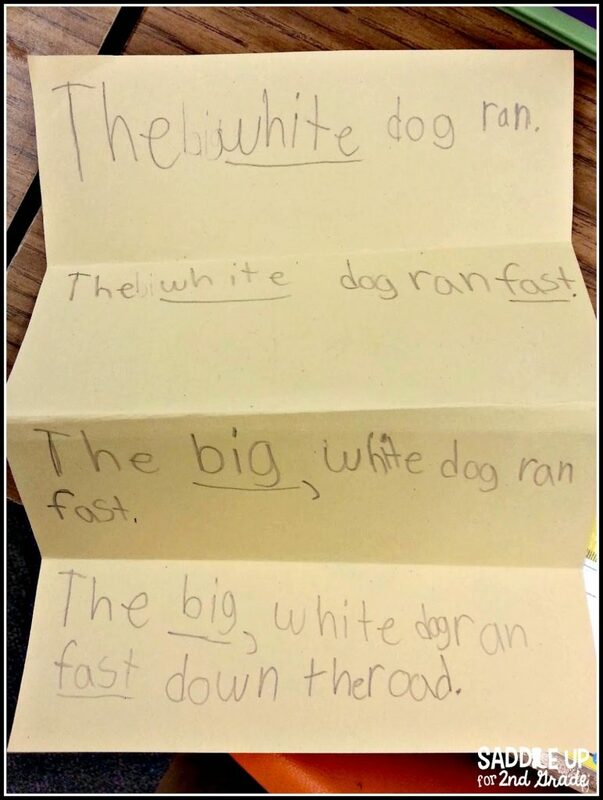 As this the end of the school year is getting closer and closer my kids are still having trouble with writing complete sentences. My group last year really enjoyed writing…this group not so much. They think it’s boring and I’m lucky to get a sentence or two out of them. 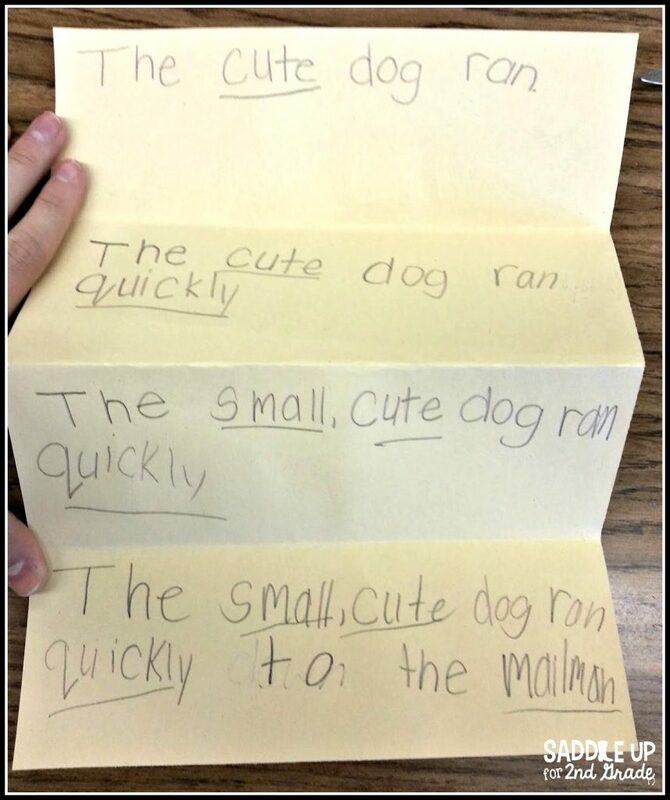 Today I tried to take it back to the basics of expanding sentences and encouraged them to use adjectives and adverbs. I gave them a piece of paper and had them fold back and forth until they had 4 rectangles on their page. I gave them a short sentence and they wrote it on the outside of their foldable. 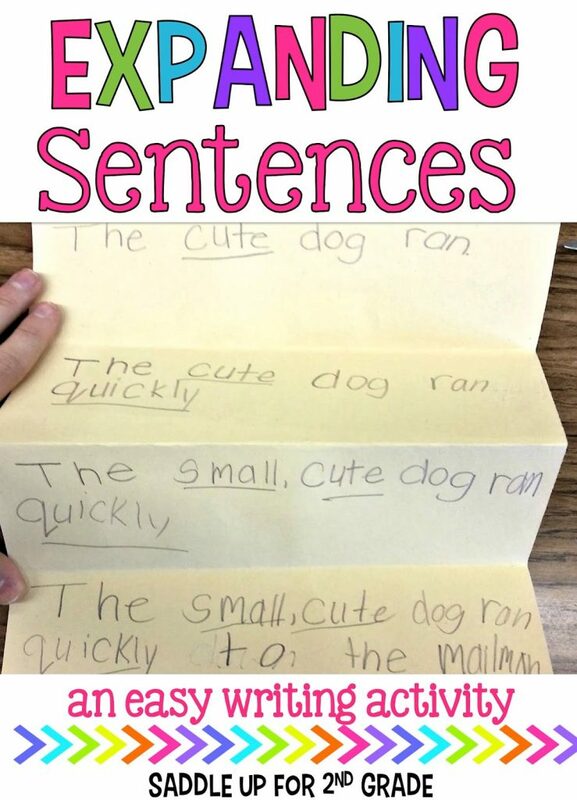 When we were expanding our sentences I only gave them clues such as lets add an adjective to describe the dog. 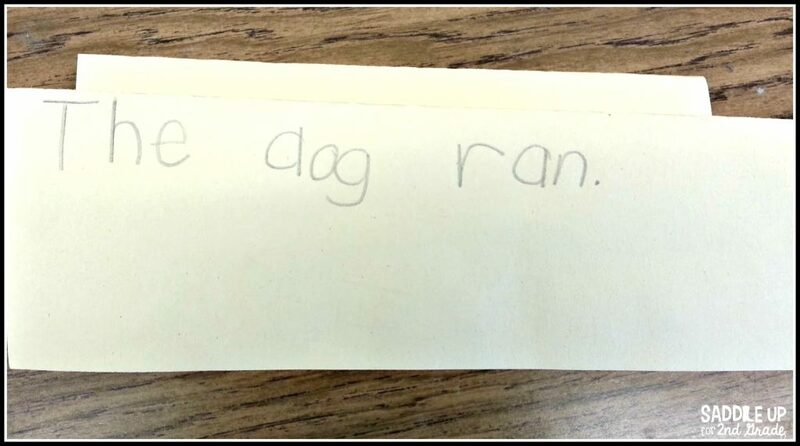 Lets write an adverb to show how the dog ran, etc…. This was their end result. I will definitely take it! We did one of these every day for a week and they can use them as examples when working on writing independently. How do you encourage your kids writing? Looking for other writing ideas? Check out my Reading and Writing Pinterest board!